Here is a dish you can make in literally less than ten minutes. You can have it for lunch, or pair it with some rice or noodles for dinner. 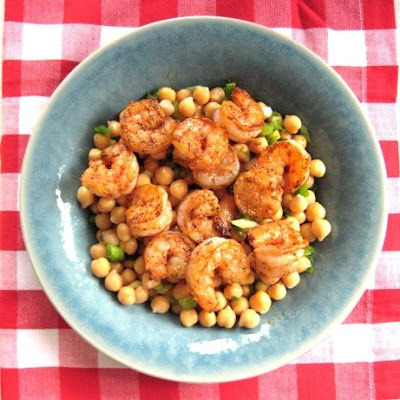 All you really need is a can of chickpeas (aka garbanzo beans), green onions, a lemon, shrimp and blackened seasoning. Okay, some oil, salt & pepper is necessary too, but most likely you have most of the ingredients at home already! 1. In a bowl combine chickpeas with green onions, lemon juice and olive oil. Season with salt & pepper. 2. Heat sunflower oil in a nonstick pan. 3. Dredge shrimp in blackened seasoning and cook for about 1-2 minutes on each side in sunflower oil. 4. 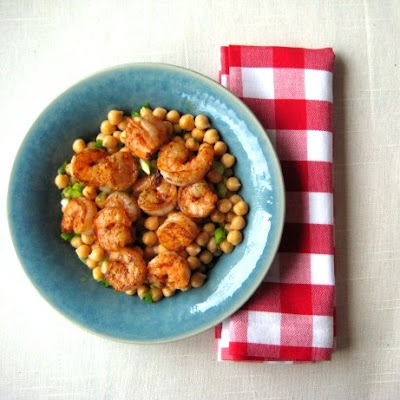 Dish out your lemony chickpeas on a plate and top with hot shrimp. Eat! Note: this recipe will appear on Natasha's 5 Star Foodie blog on July 8th! Perfectly simple and I'll bet delicious as well. I want to try this one. Thanks. I love the sound of those chickpeas! I will definitely be giving this a try!!! Those look quite delicious! Aren't the chickpeas too dry if you eat them like this though? I always have a love/hate relationship with chickpeas. I like them in some dishes but they can also be quite dry. Maybe it's the brand I am using or did you make them fresh? 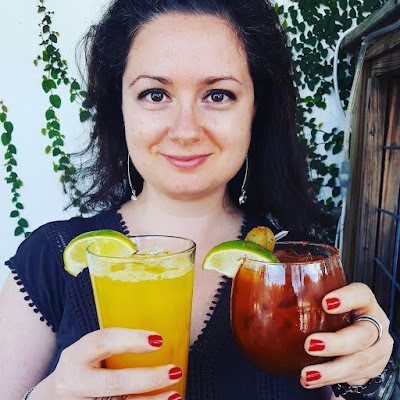 Quick, simple and delicious recipe is always welcome in my kitchen. 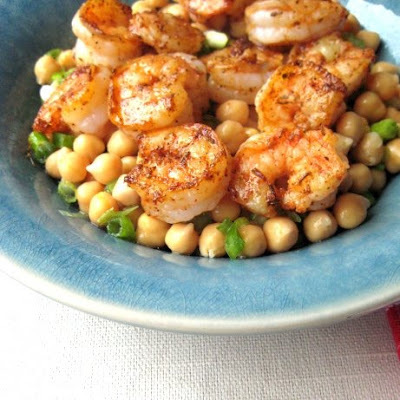 The shrimp looks so perfectly seasoned and cooked, and pairing them with lemony chickpeas sounds divine! Something I have to try soon..beautifully done! Hey Olga. It was so great meeting you this weekend. 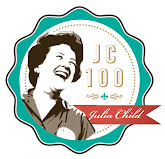 I love your sites/blogs and look forward to trying your recipes. Everything looks yummy! Hope all is well. This sounds like a keeper. The shrimp look great. This dish looks delicious, Olga!! Just read your entry at 5 star-foodie....the dish is absolutely wonderful. This looks perfect. Light, quick, and yummy. I love this recipe! I will definitely be making it soon. Chickpeas are awesome - thank you! 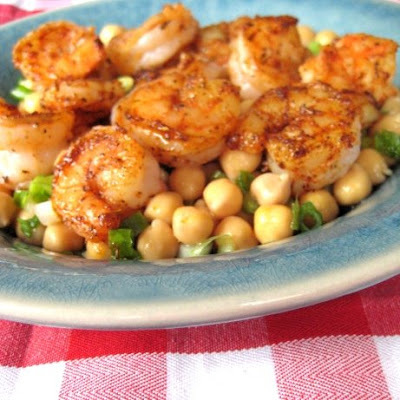 Sounds delicious-I love shrimp & chickpeas! I enjoy cooking beans from scratch, especially chickpeas, because I find the canned varieties often too al dente for my taste. Cooking from scratch really doesn't require a lot of effort, and the results are far superior.